Boston Video Production – Fort Point Blog Video Special | Rewatchable, Inc.
For many years, it seemed like downtown Boston was shrinking instead of growing when it came to being the home to great companies. Too often it seemed like really good companies were moving out of Massachusetts or moving to boring office parks in places like Burlington, Lexington, or Woburn. Most cool start-ups seemed to choose Cambridge or even Somerville over downtown Boston. However, it seems as though the anti-Boston sentiment is really changing. 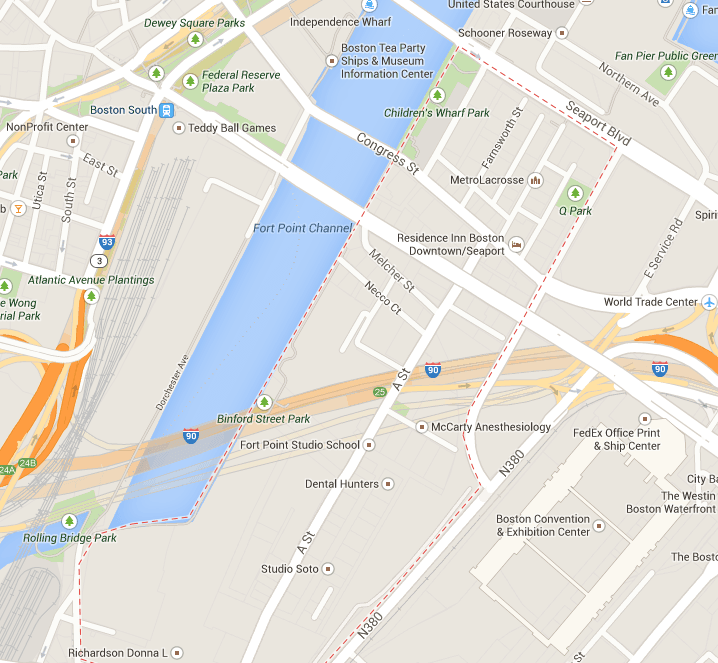 We are seeing a ton of cool startups take up residence in Boston’s Fort Point neighborhood. Some really cool companies like Aereo, AppNeta, rethink robotics, CloudHealth Technologies, Digital Lumens and a whole slew of others are making Boston seem a little bit like Silicon Valley in the 90s. So here’s the special deal. If your company is based in the Fort Point neighborhood, Rewatchable will record and produce (5) 1 minute blog videos at no charge with the purchase of one of our standard 90 second videos @ $3,000. What’s a blog video? A blog video is a simple video that features a subject matter expert informing the viewer about a very specific topic. It is a great way to save a morning that you otherwise might have spent on meticulously writing a perfect blog post for your website. It is also a great way to juice up your SEO as videos tend to outrank typical webpages or blog posts. For instance, our customer Rockland IT Solutions wanted to get found for the EMC VNX 5300 which is a product they sell. We shot this video EMC VNX 5300 in about 10 minutes and to this day the video shows up on page 1 of Google when someone searches for “VNX 5300”. So, how do we define Boston’s Fort Point neighborhood for the purposes of this special deal? We’re pretty easy – if you claim the Fort Point neighborhood as your own we’ll give you the special deal as long as you have a Boston address. We really just want to celebrate the awesomeness that is happening in the Boston tech scene! What is included in the (5) blog videos you will get? Full video production with great audio and lighting – the shoot just needs to occur directly before or after the shoot for your main video. Post production with a logo intro/outro, color correction and music as applicable. The idea is each of these blog videos should be “real time” without much content editing at all. The blog videos we create are not meant to be elaborate, carefully edited message videos – they are meant to allow you to deliver great content in short, digestible clips to prospects, customers etc. We’ll make ’em pretty and make sure they sound great but that’s about it. Let us know you want the Fort Point Blog Video Special before January 15th, 2014 and as long as the video production happens before February 15, 2014, we’ll make sure you get your 5 blog videos at no charge.